The Galaxy S7 is one of the best phones you can have today. However, with all the benefits that it has in store, the disadvantages that it suffers can in no case be avoided, though there are ways to overcome them for sure. In this article we will discuss Steps To Fix Common Problems In Galaxy S7. Battery issues is one of the flaw that Galaxy S7 suffers. 3600mAh cell battery that the phone has is susceptible to multifarious issues, one being that it gets drained off easily. First thing that you need to do is get rid of the apps that consumes battery. Instead of these apps you can go in for using their alternatives or simply following the alternative ways. To exemplify you can use Facebook in the browser and instead of messenger go in for using the other texting app. To see which apps are consuming the maximum battery uselessly, go to the Settings >> Device maintenance >> Battery. Here you need to get rid of the apps that are consuming the battery unnecessarily. These are the apps that potentially bloatware the ones installed by your carrier. If possible you must go in for deleting or disabling the pre-installed carrier apps that you find useless on the phone. To disable the always-on display go to Settings >> Lock screen and security >> Always-on display. here you need to turn these off. Also, you may settle by setting it to only run on a schedule. You should set the screen resolution to FHD+ to save battery. If you have set it on QHD+, or if you have enabled “High performance mode,” then I guess you know that it is time to switch back. For this go to the Settings >> Display >> Screen resolution. Whatever trick you follow, you need to know that the quality and the life of the battery will naturally deteriorate with the passage of time. Another problem that the phone faces is related to the Wi-Fi and Bluetooth and the factors that cause these issues at time and most of the times are beyond your control. While finding out the cause of the issue you need to know whether it is the phone or the object you are connecting to. To find this you can make use of another device. If still the issue persists then you need to take actions. Ensure that the Wi-Fi or Bluetooth is turned on. If yes but not connected, then wait for few seconds and repeat it. Still a problem? Head to the next steps. Firstly, restart your phone. If still the Wi-Fi problems persist then try forgetting the network. For this you need to simply hold down on the SSID (name) and tap on the Forget network. Now re-enter the password. If still the Wi-Fi problems persist then try unpairing the object from your phone. Following this you need to go in for re-pairing. For this, tap on the cog icon next to the product name and then hit Unpair. Now try connecting the device again. If you want to delete and reset all of your network settings, you need to go to General management >> Reset >> Reset network settings. Doing so will make you get rid of all the saved networks and Bluetooth devices, whether you want it or not but might solve the issue too. With every new item that you add to your phone or with the existence of the errant app, it is natural for the performance of your phone to slow down. Still, we are here with some steps to help you boost the performance of your phone. Your Galaxy S7 has just 32GB of internal storage so when it gets on the edge of exhausting it indicates you to free up internal storage. This you may do by deleting some of the larger apps and games. Go to the Apps area in your settings >> sort the apps by size >> see if you need them and get rid of the useless large files. The built-in Device maintenance settings can also be used to “clean” the storage by simply deleting the old and unused files as well as the app caches. You can upload your photos to Google Photos and delete them from your phone. If you find that there is some change that you have not wanted in your phone then go in for a reset. It is not a full factory data reset but simply a way to rest the phone and get rid of the customization, if ay that you have done. Go to Settings >> General management >> Reset >> Reset settings. After you have read the warning click on Reset settings button and confirm your pin or lock pattern. After the process ends all the settings will return to their default type. One stop solution for all the problems that you are facing with your phone is to factory reset your phone. Go to Settings >> General management >> Reset >> Factory data reset. After you have read the warning tap Reset device. In vase you have a security pin or lock then you are required to confirm it. Once this process is over your phone gets the way it was when you first bought it. All in all, these are the Steps To Fix Common Problems In Galaxy S7. 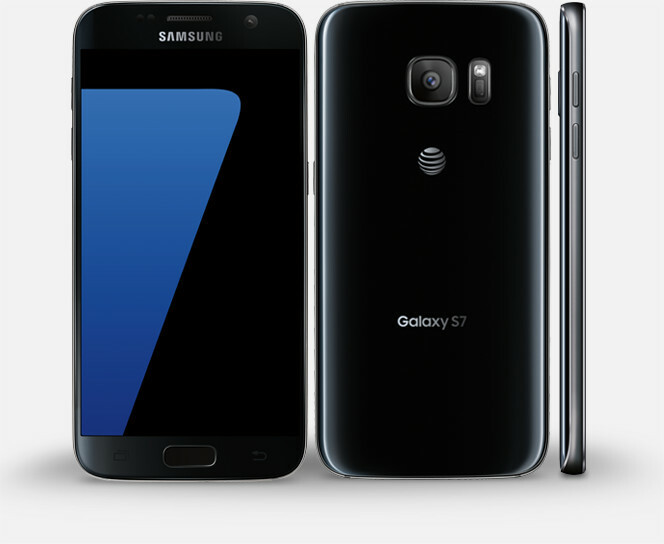 If you are able to overcome all the above mentioned issues with your Galaxy S7, then at present there iis no other phone that can beat the performance of Galaxy S7. The affordable range and the best of all features makes this phone a must have in case you are planning to get rid of your old phone by not putting much burden on your pocket. The phone will not let you down in any case.